The rotary cup filling and sealing machine is specially offered for packaging liquid with pre-made plastic cup, paper cup, and paper-plastic cup, singly. The rotary stepping type filling and sealing equipment is suitable for packing liquid or semi-viscous material, for example, yoghourt, milk beverage, soya-bean milk, fruit juice, jelly, ice cream, seasoning, and everyday chemical. 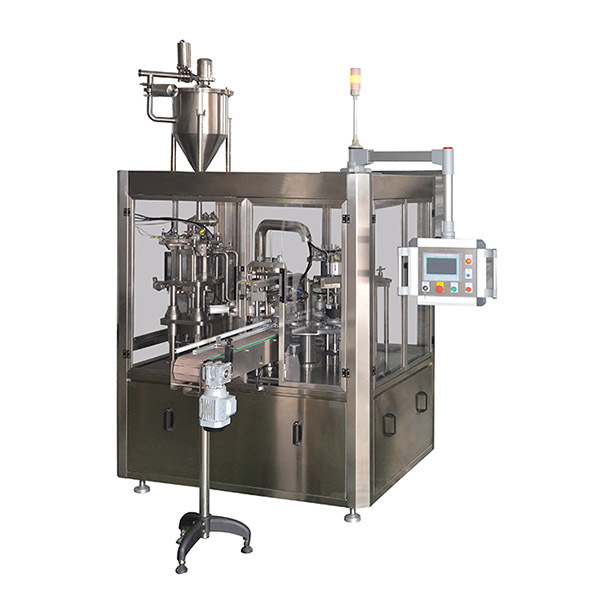 The rotary cup filling and sealing machine employs premade film for cup sealing. The rotary cup filling and sealing machine is specially offered for packaging liquid with pre-made plastic cup, paper cup, and paper-plastic cup, singly. 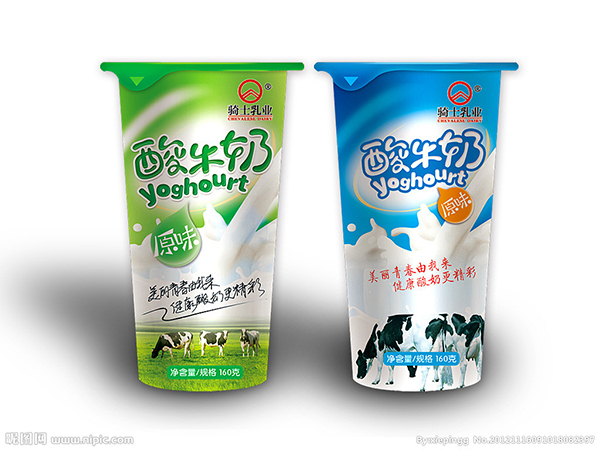 The rotary stepping type filling and sealing equipment is suitable for packing liquid or semi-viscous material, for example, yoghourt, milk beverage, soya-bean milk, fruit juice, jelly, ice cream, seasoning, and everyday chemical. 1. 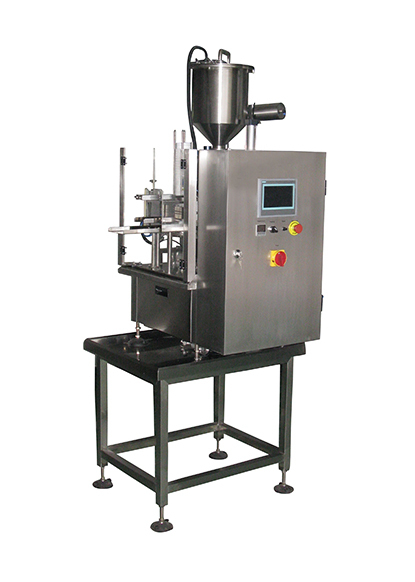 The rotary cup filling and sealing machine employs premade film for cup sealing. 2. 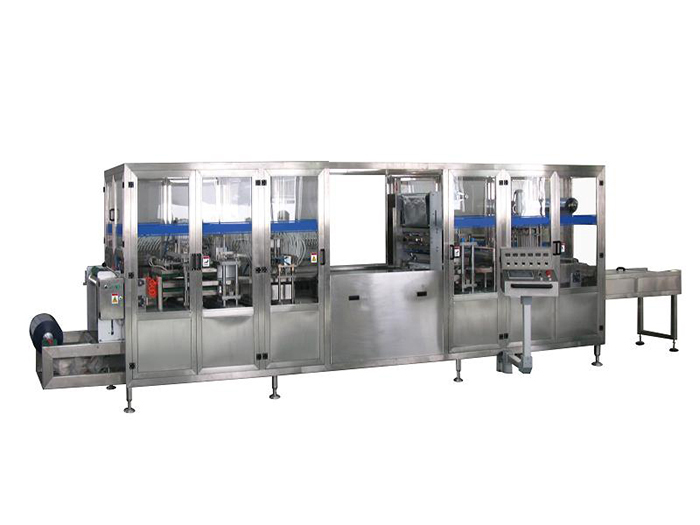 It is capable of completing the production process automatically, including cup feeding, filling, single film placing, sealing, cup unloading, and cup conveying. 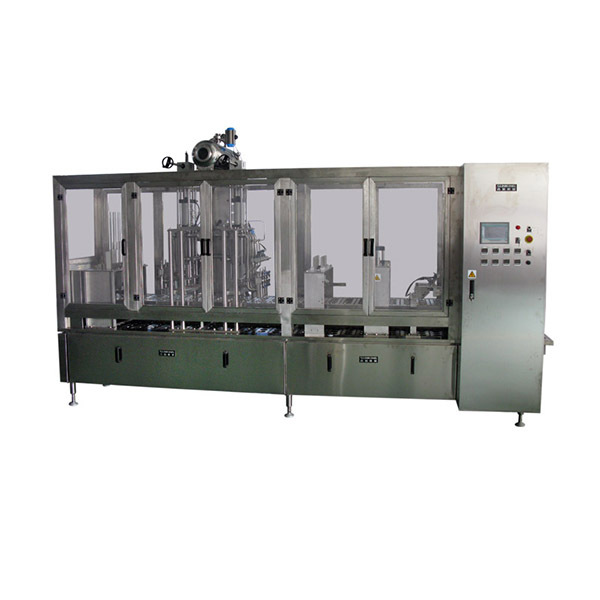 In addition, this liquid packaging machinery can be produced with optional functions such as filling of a second type of material, code printing, cap placing, and cap pressing. 3. 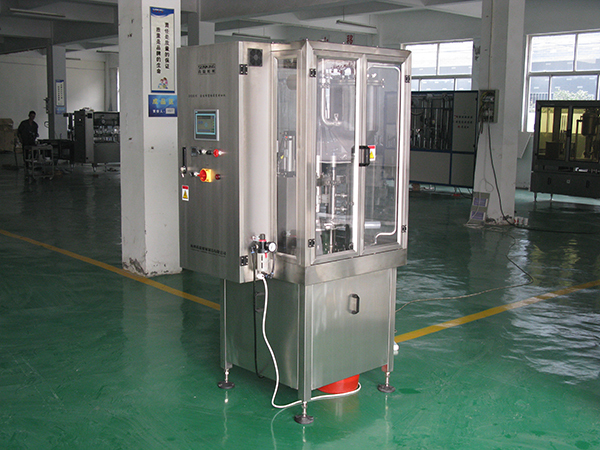 Our standard cup filling machine is an ideal choice for filling volume from 10 to 250ml. The particularly designed liquid filling system, as well as the CIP cleaning device, makes the rotary cup filling and sealing machine suitable for the users with higher requirement on sanitary conditions of the production equipment. 4. Customized particle and powder material filling system is available from us. Apart from normal temperature liquid filling, we are in the position to manufacture the product with the filling system for hot liquid, as well. 5. Applicable for single cup filling and sealing, the rotary liquid filling equipment is characterized by first class quality and high precision liquid filling. In addition, this rotary cup filling and sealing machine is quite popular because of its easy operation, convenient maintenance, high precision, and simple machine regulation.